Art to Heart’s team is small but strong. Each one of us performs many functions, some mighty and some very humble. We dream up a lot of ideas and discuss the best over lunch. We turn them into projects which you find on this site. 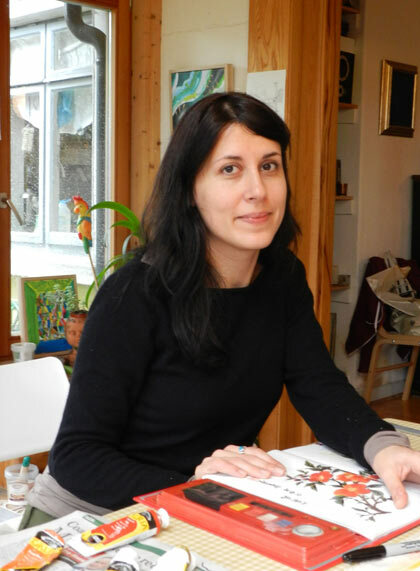 Jole Bortoli, is a visual artist, art-facilitator and director/founder of Art to Heart. Jole was born and grew up in Italy where she trained as a visual artist. She attended the Art School for Fine Art and Pottery in Castellamonte, Turin (1966-70), and Visual Communications and Art of the Book in Urbino (1971–74). After graduating she co-founded and worked for over ten years in Fuorischema, Pesaro, one of Italy’s most renowned graphic design studio during the late 70’s – early 80’s. In 1985 she moved to Ireland and in 1987 helped establish The Graphiconies (1987-95), a graphic design studio working mainly for the artistic and cultural sector. In 2006 Jole founded Art To Heart, an organisation that works with children and adults in educational, community and art settings. 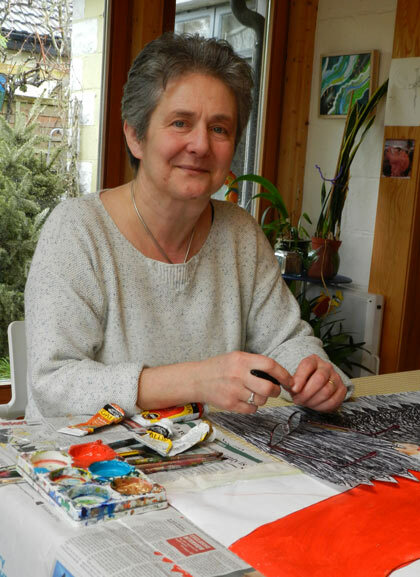 Jole has extensive experience in working with children and with adults through the arts. She has led pioneering visual art workshops in The Ark, a cultural centre for children in Dublin, and she has art-directed the interior design of children-centred spaces such as the A&E Department in Temple Street Children’s Hospital and the Office for the Ombudsman for Children. Jole is currently working in Dublin and the Burren, Co. Clare and every week she leads workshops for children and adults. In Dublin she regularly works with the Ark as artist-facilitator in their visual art programmes, with ReahbCare, Dun Laoghaire and with the Sanctuary, a spirituality Centre in the heart of Dublin city. She also runs art programmes in both Primary and Secondary schools. In the Burren, Co. Clare she runs workshops every fortnight and every summer she holds several weeks of training in her workshop. Jole illustrates and writes her own stories, which she self-publishes. Her first book “Iria” was launched in April 2010 and an exhibition of the original illustrations has been touring regularly since then. Jole is now working on her second book “Rua”. In 2016 Jole spent a month art residency in Iceland which resulted in a joint exhibition with fellow artist Barbara O’Meara titled ‘Ratljóst – Enough Light to Navigate By‘ at the Russell Gallery in Co. Clare, Ireland. A short visit to Montreal, Canada in the same year produced ‘Shapeshifters‘ exhibited at Glór, Blanchardstown and at The Ark, Dublin in 2017. Paola joined Art to Heart in 2009 and looks after the organization’s Media and Communications. She has a background in Media Studies and Journalism and in 2010 she completed a Master degree in Multimedia Technologies at Dublin Institute of Technology. Paola has worked with Jole on a diverse range of projects for clients like The Ark, Larkin Community College, The Ombudsman for Children and RehabCare. She is responsible for capturing and editing multimedia content (photography, audio and video) to document Art to Heart’s work. Her dream is to be able, one day, to bring to life Jole’s book “Iria” through animation. John is Art to Heart’s guardian angel. He advises, counsels, gently directs and most of all, does the numbers. John is a founder member and co-owner of Persuasion Republic. He is regarded as one of Ireland’s leading experts in strategic communications and campaigning for non-profit organisations. He has worked on projects and campaigns for the Irish Cancer Society, Trócaire, Concern, Christian Aid, Society of Vincent DePaul, Department of Community Rural and Gaeltacht Affairs, Department of Health and Children, Children’s Medical Research Foundation (Crumlin Hospital), National Council for the Blind (NCBI), IMPACT, and Our Lady’s Hospice. He has led seminars and workshops in communications and provided training in advocacy and fundraising. 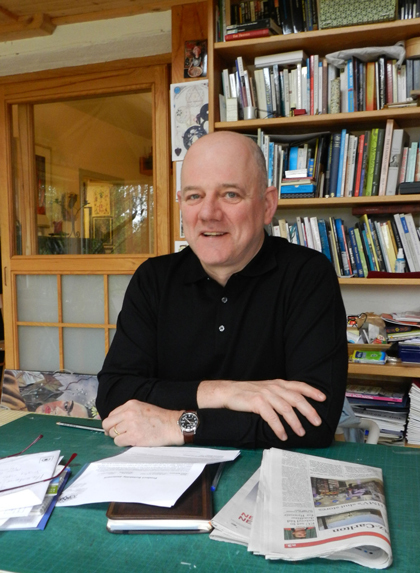 John has also worked extensively in the cultural sector. He was a founding member and managing director of The Passion Machine theatre company, King Farouk publishing, the SFX Centre and Amnesty Education (publishing). He also works with the writer Roddy Doyle, the photographer Derek Speirs and the artist/teacher Jole Bortoli. John is a member of the board of Fighting Words, Art to Heart, Amnesty Education and Report.